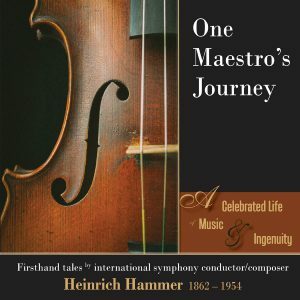 The reader is introduced to these illustrious individuals via detailed sidebars in chronicling the journey of Maestro Hammer as he traverses two continents, multiple countries, and numerous orchestras, providing a truly unique window into a bygone era. Following a key early study period in Paris, his music-related travels throughout Europe included his founding of the Gothenburg Symphony in Sweden, still going strong today. He also conducted the Berlin Philharmonic, with royalty in attendance at his concerts on various occasions. Migrating across the ocean to America, he performed for President Taft, resurrected and led the Washington Symphony Orchestra in the nation’s capital, and became a U.S. citizen, to his extreme delight. After relocating to Southern California, he conducted the L.A. Philharmonic, and had a life in Hollywood which intersected with the Golden Age of film—followed by a decided change in his fortunes during WWII.